CGR faculty direct numerous fellowships and externships related to public policy in Florida, including the E. Thom Rumberger Fellowship and the Florida Supreme Court externship. Deadlines for applications will be announced throughout the academic year. 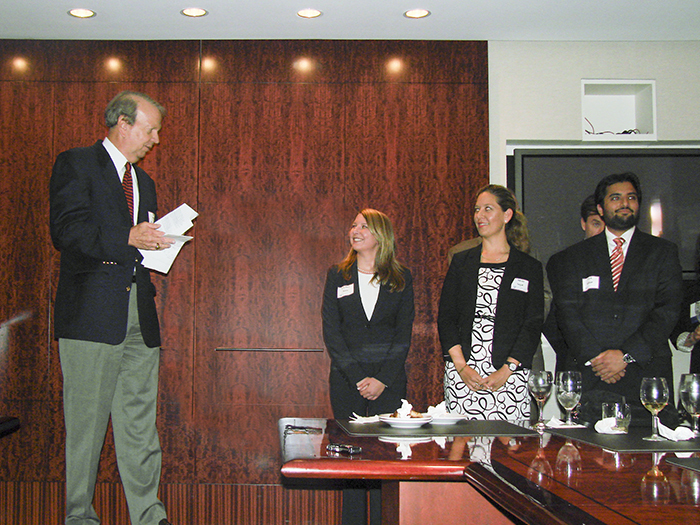 The E. Thom Rumberger Fellows Program is a a one-year fellowship in the field of environmental law. Fellows are selected on the basis of academic achievement and a demonstrated interest in environmental issues, public policy, and a commitment to public service. The Rumberger Fellowship was created by family and friends of the late Thom Rumberger, who was the General Counsel to the Everglades Foundation, founding partner of Rumberger, Kirk and Caldwell, and a renowned advocate for the environment, in particular, the Florida Everglades. The Chief Judge Anne C. Conway Scholarship Endowment will provide annual support to law students who embody the qualities of leadership, high character, and desire for justice and equality that Chief Judge Conway has exhibited both in her career and during her time as a law student. Specifically, the scholarship will support awards to students who demonstrate not only the above mentioned qualities, but also those who have engaged in public service through volunteer efforts or in work with organizations such as the Center for Governmental Responsibility. As you know, scholarships allow the College to recruit and retain the very best students while reducing their debt burdens. The Richard G. Hamann Conservation Law Field Scholarship Fund honors the long-time UF law and CGR faculty member. It will continue to provide field study opportunities for students in the ELULP program, and will provide financial support for students to attend environmental and land use related field courses in Florida and elsewhere. Richard provided important and unique educational opportunities to students in the ELULP program through his interdisciplinary field courses such as the water wetlands and watersheds course, the ecosystems of South Florida course, and international study abroad programs in Costa Rica, Belize, and the Bahamas. Additional information is available from Mary Jane Angelo angelo@law.ufl.edu, Professor of Law and Director, ELULP, or Thomas T. Ankersen ankersen@law.ufl.edu, Director, Conservation Clinic. The externship at the Florida Supreme Court began in 1997 working with the late Justice Ben Overton, and was the first for-credit externship recognized by the Levin College of Law. The externship, which is supervised by CGR Director Jon Mills & Staff Attorney Tim McLendon, places one or two students in the office of a Florida Supreme Court justice during the summer, fall, or spring semesters. Externs work on a variety of matters at the court, including reviewing petitions to invoke the Court’s discretionary review, as well as legal research on pending cases. Externs also have the opportunity to attend oral argument during their time at the Court. For further information, please contact Tim McLendon mclendon@law.ufl.edu. Annually Florida Supreme Court Justices will provide lectures Dean Jon Mills’ Florida Constitutional Law course to honor the late Justice Ben Overton’s legal career and service as a professor at UF law. Continuing Justice Overton’s traditions, Dean Mills annually takes his class to visit the Florida Supreme Court during the fall semester. Justice Overton died in December, 2012, while still serving as a UF law professor. He was appointed to the Florida Supreme Court in 1974 by former Gov. Reubin Askew. He retired after 25 years on the court, leading it to sweeping reforms and authoring more than 1,400 opinions. He served as Chief Justice from 1976 to 1978. He is a graduate of UF law and served as St. Petersburg city attorney, special assistant attorney general, and was in private practice before becoming Pinellas County Circuit Judge, eventually rising to Chief Judge. CGR has twice directed legal research with law students for the Florida Constitution Revision Commission. In anticipation of the appointment of the 2017-2018 Revision Commission, CGR again will offer opportunities for research of policy issues for consideration by the commission.